Classic 1040's kitchen table set. 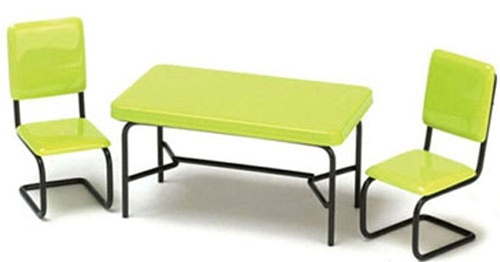 Three piece set - Chairs are lime green with black bent leg style legs. Sturdy and perfect for classic or modern miniature scenes.